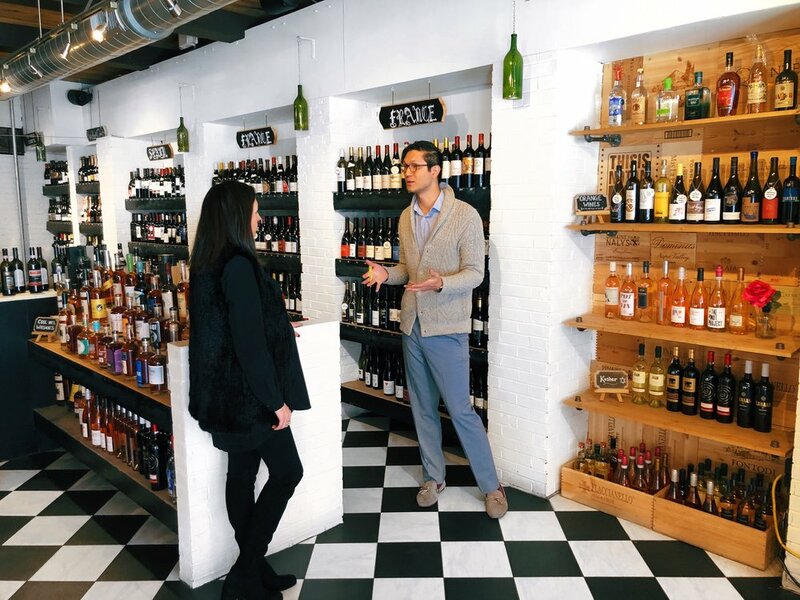 Tactics to Buying Wine at a Wine Shop — WINEFARER INC.
Having a wine shop you know and trust makes the selection process a whole lot easier and pleasant vs. a store where you are uncomfortable and unsure about the people managing it. For me, this store is Le Grand Triage (LGT) on the Upper East Side in Manhattan. Not only is this shop aesthetically pleasing, the staff is extremely friendly and helpful. 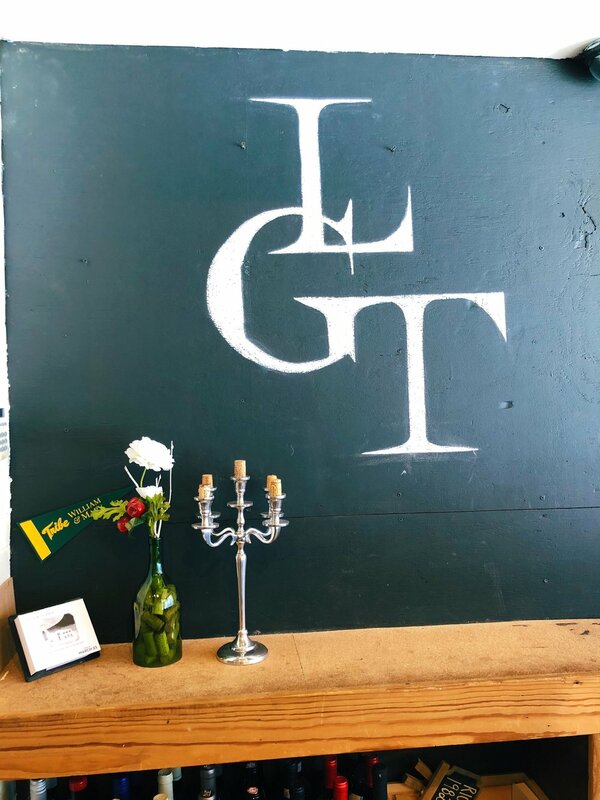 I chatted with Eric Rydin sommelier and owner of LGT for over an hour (yes that’s how much he and they care) about his store and what makes it so special and unique to the neighborhood. He mentioned that one main differential is that he hand selects and works with over 60 distributors to carefully curate a special collection of wines from around the world. Most generic wine stores work with 3-16. In fact, 70% of their inventory is either organic, natural, sustainable, or biodynamic. So what does this all mean? Because they work with so many distributors their inventory is less commercial indicating that trust to the consumer. They are not in the business of speedy bottle turnover (although always nice for business), rather want you to experience and be educated on what you are buying – ensuring that you actually enjoy it. LGT also offers a host of wine education classes and staffs a high quality team of wine aficionados and sommeliers – so you know you are always getting the best recommendation. With that being said, find your trusty wine shop, make friends and talk with the employees so they get to know your taste and help make expert suggestions. Once you have your wine shop now you can being the process. To make the experience less intimidating, here are a few tactics I use when buying wine. Know who you are buying for: Simple enough. I’m sure your mom, dad and bestie have very different palates. What’s the occasion? The occasion matters. If it’s a baby shower you may opt for a non-alcoholic wine or something that mama can save for later. If it’s a summer BBQ, a lighter white wine (Riesling, Gewurztraminer), a sparkling (Cava) or a rosé (Gamay) to be served as an aperitif is perfect. If it’s a dinner party, a light-medium bodied red (Sangiovese) would mostly likely be a neutral option in terms of food pairings. The occasion matters because different foods and different vibes make up different celebrations meaning different wines. Different different different! Know your price range and be upfront about it. If price doesn’t matter to you then you can skip over this however, if it does then you should know your price point before going into the wine shop because this is one of the first questions the wine shop employee will probably ask you. Once you know the answers to those key questions, you are now able to walk into the shop with your head held high knowing exactly what you are doing there in the first place instead of entering with panic. The next steps outlined will take some speaking up and courage (hopefully your shop will be hosting a tasting that day – liquid courage). 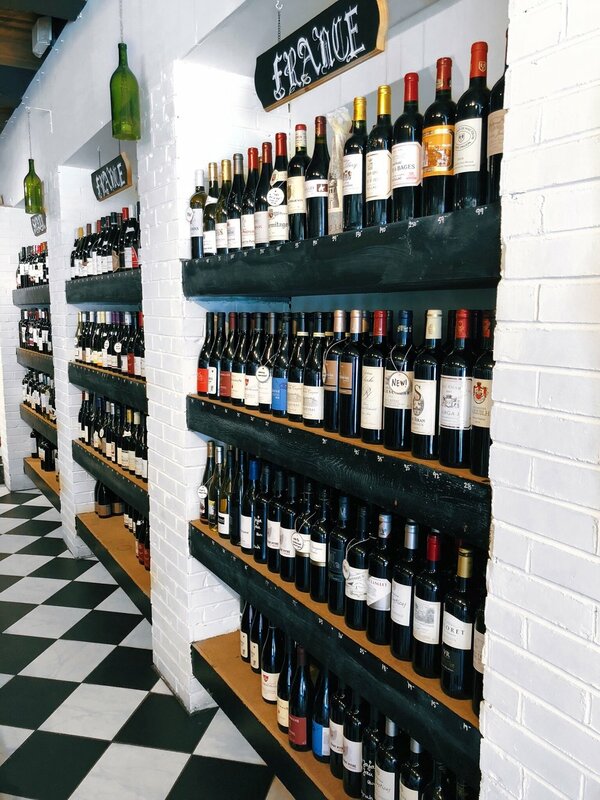 Quickly scan the room and see how the shop is organized: A good wine shop should be categorized in some order most likely by region. This will give you a good sense of where in the world you stand among hundreds (or thousands) of bottles of wines that are staring you in the face. I usually go for (insert your wine of choice) do you have something similar but different? If you want to learn more about wine, expand your palate and go outside of your comfort zone. TRY NEW WINES! Say no to bar codes! This was an interesting tip that Eric from my trusty wine shop LGT shared. Bar codes usually mean mass distribution. So, if you want a really special wine with a lot of heart and soul in the bottle from a winemaker who loves their craft opt for a bottle with no bar code (usually found on the back). Just saying! Have your go-to distributor list: Once you have a go-to wine you love notice the importer and/or distributor. While I first read this in Marissa A. Ross’ book Wine. All the time. The Casual Guide to Confident Drinking, Eric also reiterated this tactic to make it a must for easy shopping. 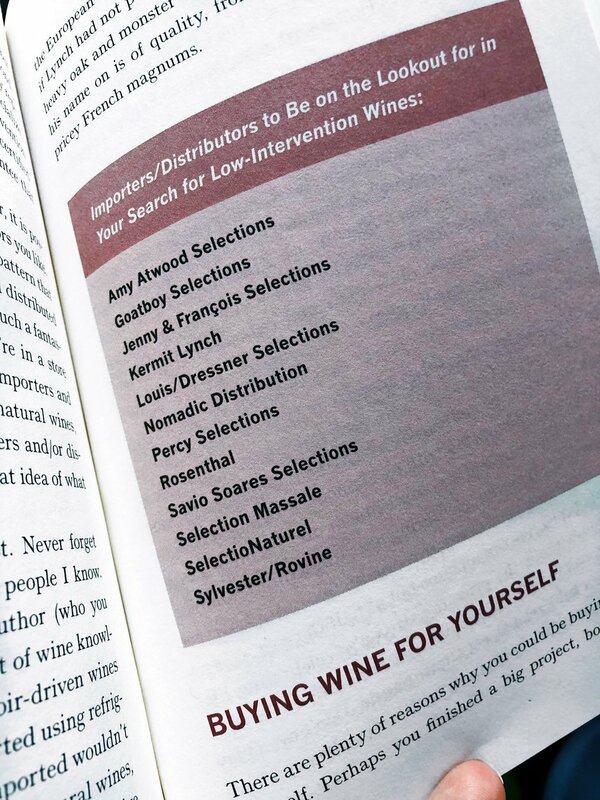 In Marissa’s book she explains, “Shopping for wines by importers and/or distributors you are familiar with gives you a great idea of what wine you are buying.” Search the back of the bottle for the importer and/or distributor and see if it’s one of your favorites. Tastings: Go when your shop hosts a tasting and hear about the story behind the wine and see if you actually like it. You can then bring a bottle to your next occasion along with a good story. Here’s a goodie! If you are going to jump on the low-intervention / organic / biodynamic wine bandwagon here are a few of Marissa A Ross’ favorite importers/distributors to look for. And I trust her so you should too! Also, Eric let me know to check out RAW Wine Festival if you are looking to get more into these wines!